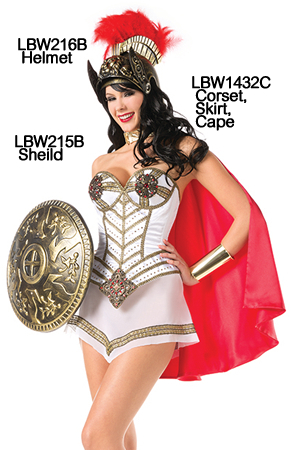 Skirt, corset, cape set. Corset with belt. 別売 ヘルメット LBW216B. 盾 LBW215B.